Any occasion that calls for a celebration, whether it is a dream wedding, a dazzling debut, a special birthday bash, a luxurious corporate event, or another milestone; Diamond Hotel Philippines offers the Events Lounge -- the perfect place to plan your event. Experience a glimpse of your yet to be most cherished moments as you enjoy the perfect ambiance of the Events Lounge. The stylish lounge showcases a display of innovative dining options, an extensive selection of linens, a 110-inch LED television that features beautifully inspired-themes, and a creation of a renowned couturier. Furthermore, you can easily choose from the elegant and functional venues of the hotel, allowing you to completely focus on other details of your event. Apart from the visuals of the Events Lounge, is what you can truly feel and taste – an important first-hand experience that will guide you to envisioning the occasion the way you want it to be. The splendor of the well-designed tasting room promises an exciting gastronomic adventure as it demonstrates the culinary expertise of the hotel's chefs. Moreover, the dedicated events team are experts in providing a professional but personalized approach to your special occasion and makes planning your event easier. Diamond Hotel strives to provide comprehensive services to ensure that your invited guests experience an awakening of all their senses in an unforgettable gathering. 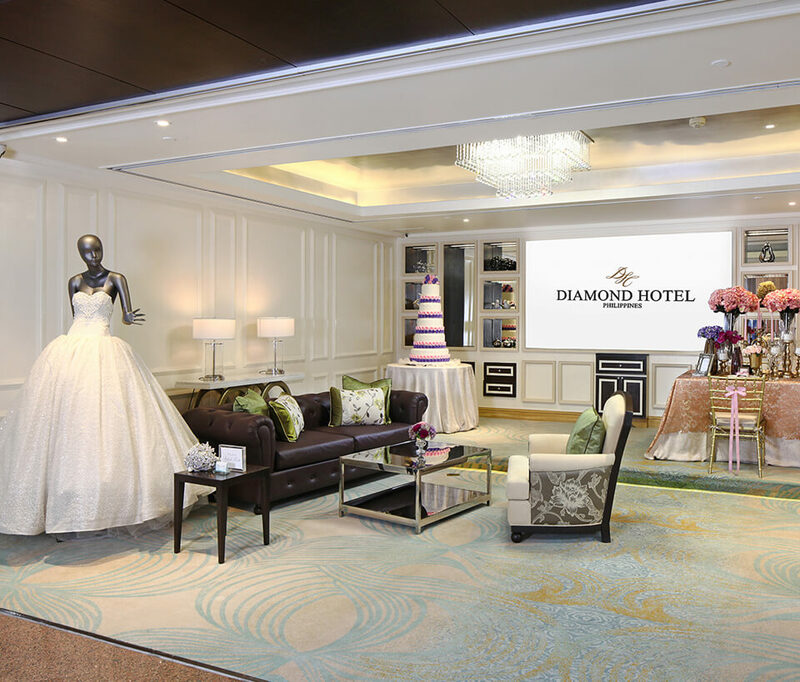 Make planning every celebration a wonderful memory and let it all begin at the new Events Lounge of Diamond Hotel. For inquiries, call (632) 528-3000 loc. 8414 or 8461 or email events@diamondhotel.com.